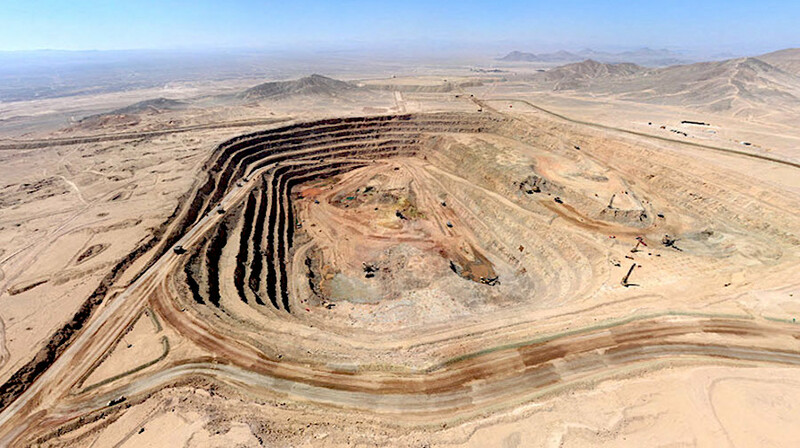 Polish copper producer KGHM said it expects daily copper ore output at its Chilean mine Sierra Gorda to increase by 18 percent next year from current levels. State-run KGHM acquired Chilean and Canadian copper deposits in 2011 when it bought Canada's Quadra FNX for $2 billion, the largest ever foreign acquisition by a Polish company. But a subsequent fall in copper prices and technical issues in starting production at Sierra Gorda increased the project's costs and resulted in a significant writedown of the asset value. The mine currently produces 110,000 tonnes of copper ore a day. "We think we will arrive at 130,000 in 2019," KGHM Chief Financial Officer Stefan Swiatkowski told a press conference. Molybdenum production at the mine will start to fall next year, he said, due to geological issues, but he did not elaborate. Swiatkowski also said that in Poland the company's annual production of electrolytic copper from its own concentrates could return to around 400,000 tonnes in the coming years, but it was difficult to say exactly when. On Tuesday, KGHM reported that such output fell 4.5 percent last year to 358,000 tonnes due to an accident at its Polish smelter. That was well below the company's target of 401,000 tonnes. KGHM will invest more than 2 billion zlotys in Poland this year, Swiatkowski said.